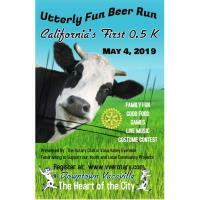 California's first 0.5K Utterly Fun Beer Run, organized by the Rotary Club of Vaca Valley Eventide who is partnering with Blessings in a Backpack, to benefit Vacaville youth. The route starts on East Main Street and ends about three blocks later, at Town Square. 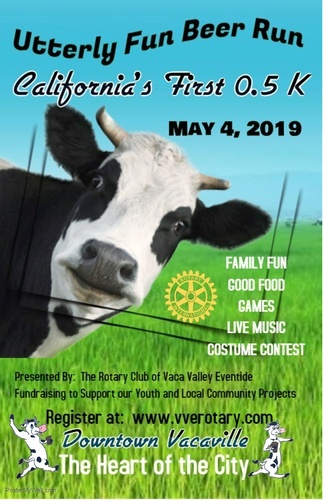 Food vendors, live music, giant-sized games, costume contest.